Inventory We are a resale marketplace, not a box office or venue. Ticket prices may exceed face value. This site is not owned by The Paramount . 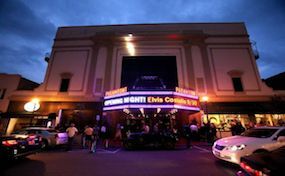 The Paramount in Huntington, Long Island, New York skyrocketed to the top of America’s hottest club venues since opening in September 2011. The 1,573 capacity facility was featured in Billboard Magazine as the “23rd Hottest Club” in 2014. The Paramount hosts an astonishing two hundred events per year featuring hit artists such as: ZZ Top, Pitbull, Ed Sheeran, and Billy Joel. The venue also hosts the Paramount Comedy Series, with comedians such as: Whoopi Goldberg, Kevin Hart, Rob Schneider, and Weird Al Yankovic. The jewel of this club is the VIP Founder’s Room which was designed to resemble a 1920’s speakeasy and boasts a capacity of 450. TheaterHuntington.com is a privately held company that specializes in the online sale of tickets in the secondary market. We are not affiliated with any primary box office, supplier, or official site. Prices on our sites can be well above or below face value and have a tendency to change quickly with demand. To purchase tickets to all The Paramount Huntington events simply click on the show you wish to attend or call our operators at anytime.